Tracie is a rising high school senior at Sacred Heart Academy of Bryn Mawr, and is very active in her school community. She is a member of Student Council, editor of the Chez Nous literary magazine, a senior retreat leader, and a member of various other clubs and sports teams. 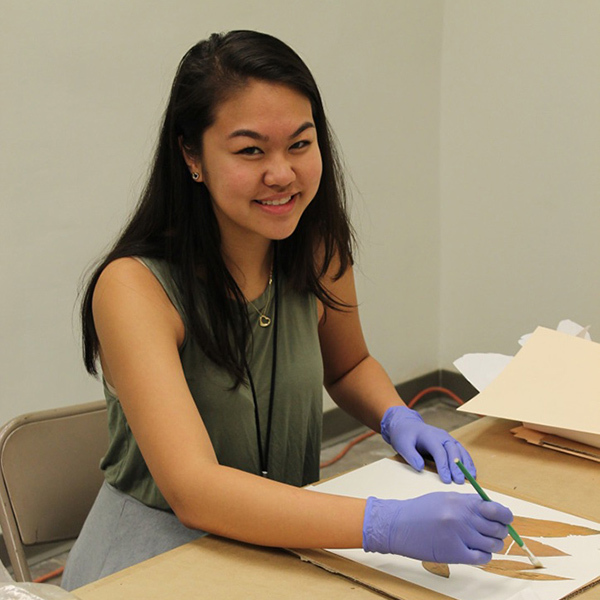 Tracie is currently a summer intern on the Ban Chiang Ethnobotanical Project and is working to mount specimens for later study and digitize the original ethnobotanical notes that go along with each plant. She is currently applying to colleges and is hoping to major in marketing, business, and/or public relations. She is also very interested in studying English, anthropology, and world history.